Camping de Grevelingen ist ein Camping in Nieuwe-Tonge, Südholland, am Fluss/Bach und See/Freizeitsee. Dieser Camping hat Plätze mit Parzellierung und ohne Schatten. Der Camping verfügt über einen Spielplatz und ein Sportgelände. Auf Camping de Grevelingen ist Windsurfen und Wasserski fahren erlaubt. Dieser Inspektor besucht jährlich den Camping de Grevelingen und inspiziert diesen Platzen anhand von rund 200 Einrichtungen und weiteren Anhaltspunkten. Der Inspektor ist ein Mitarbeiter von ACSI und arbeitet nicht für den Campingplatz. First class site. Excellent hosts. Large, level pitches and though the site was quite big there was very little noise. Sanitary facilities very clean with individual male/female sections. Snack bar did good food and though they didn't speak much English we managed with a bit of sign language. No wifi but we didn't ask what the cost would be as were on our last night so wasn't important. Very relaxing site and would make an excellent base for a longer stay but also very convenient for an overnight before leaving from Zeebrugge, Ostend or even Calais. Can recommend and will definitely stay again. We have just spent 4 nights here on the homeward leg of our year long european tour. The welcome is excellent, no bother, no unreasonable demands, just a genuine, lovely, clean campsite that is easy to enjoy. The site is family run and very well cared for, which shows. The grounds are beautifully kept and the play area for the children large and to one side of the site. Theres lots of dog walking space and a lovely lake where you can fish. Although the weather was a tad difficult, the shower blocks remained clean at all times and the staff always helpful. We would absolutely recommend a stay here. Its open from March till 3rd Nov.
Möchten Sie Camping de Grevelingen buchen oder nähere Infos? Das geht über die u.g. Angaben. N215, von Oude-Tonge Richtung Nieuwe-Tonge, ab hier ausgeschildert. 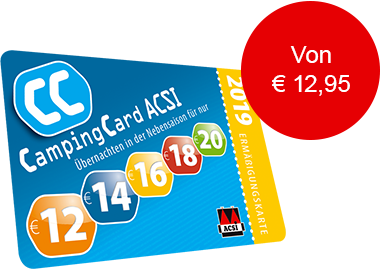 ACSI Eurocampings schickt Ihre Info-Anfrage an "Camping de Grevelingen" durch. Am Grevelingenmeer. Ideal für Wassersportler. Ruhiger Familiencamping mit schönen großen Camp- und Reisemobilplätzen. Großer Spielplatz, Fischweiher und Animation in der Hochsaison. Wander- & Radwegenetz, gratis WLAN sowie Hunde erlaubt.